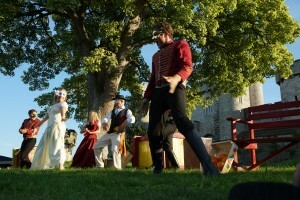 We’re delighted to welcome back Folksy Theatre to Martineau Gardens this summer for the third year. Last year they brought us Wind in the Willows: on one of the hottest nights of the year, we enjoyed the antics of Toad and friends, ‘messing about on the river’ performing on top, in front and around Martineau Gardens’ very own stage, the deck of the pirate shipwreck, whilst we, the audience relaxed on picnic chairs and rugs. A month later was Hamlet, which included ingenious puppet work. 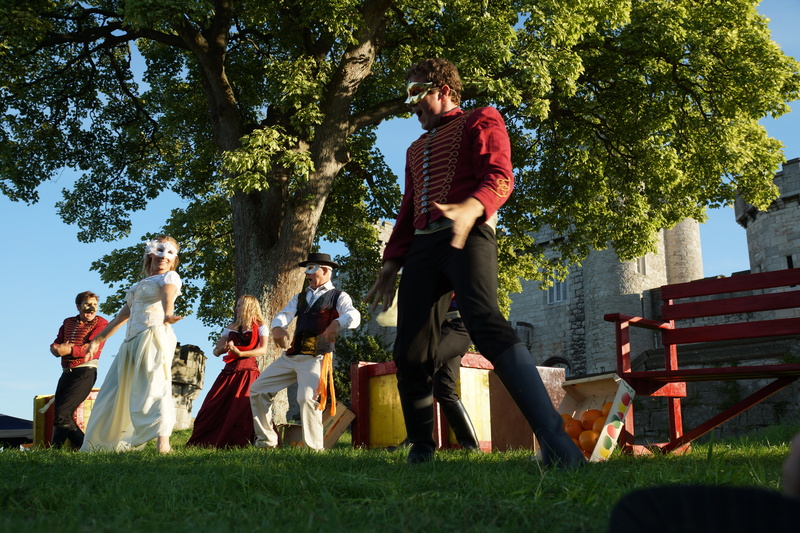 More laughter awaits us with ‘As You Like It’, Shakespeare’s wonderful comedy about life, love, betrayal, faith and death. Rosalind, the daughter of a banished duke, falls in love with Orlando. When she is then banished from the court by her usurping uncle, Rosalind takes on the appearance of a boy, calling herself Ganymede. She, her cousin Celia and jester Touchstone, travel to the Forest of Arden, where her father and his friends live in exile. Will Rosalind ever marry her Orlando? Will the Duke change his ways? This open-air production will be filled with Folksy’s touch of bold characters, live music, audience interaction and plenty of laughs. Advance tickets – £13.50 adult, £10 concession, £8 child, £40 Family (2 adults, 2 under 16’s). 2 year olds and under are free. Tickets also available in person from Martineau Gardens (cash or cheque only) in advance, (or on the gate), subject to availability. Family tickets are only available in advance. This is an open-air event, so please come prepared for the weather! There will be a marquee in the audience area which will provide ample shelter, but please bring wet weather protection, if needed. Martineau Gardens is close to the MAC and opposite the Priory Hospital. There is a small car park on site. Additional parking for this event will be announced. The Gardens are served by buses 1, 45, 47, 61, 63 or X64 and there is a bike rack on site, located close to the Pavilion. For full location details, click here.